In April we published a new report on our parnter page of Government Europa. We developed a new type of sensor for our iBWIM system to make it even more versatile. The iBWIM bending sensor was developed especially for large bridges, it consists of 2 separate parts and uses the principle of position sensitive devices (PSD). A new, even more exact sensor for our iBWIM system was developed. 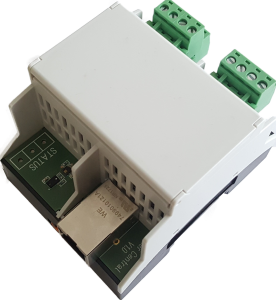 With this sensor we will be able to measure more types of bridges in future, even the ones, where only small deflections are expected. Visit us and meet our innovative bridge measurement system iBWIM, this year we will have the possibility to show live data of running iBWIM installations. Lange Nacht der Forschung, April 13th 2018, Klagenfurt am Wörthersee, Lakeside B11, Stand L56. 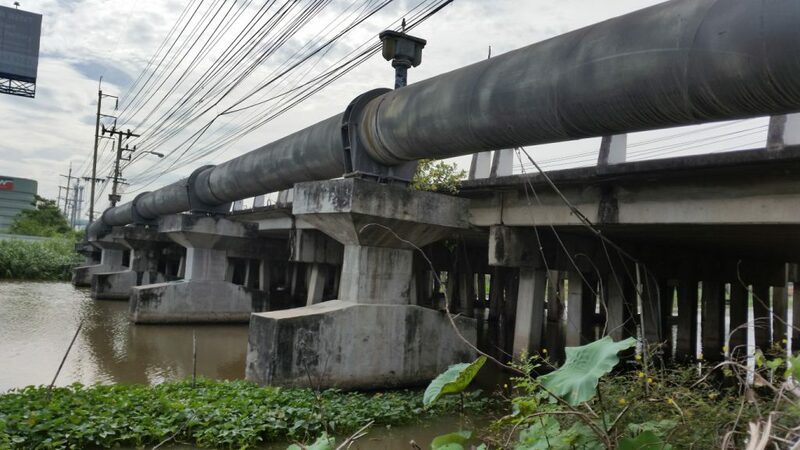 Two iBWIM systems have been shipped to Thailand in February 2018 to equip next provinces with monitoring systems. 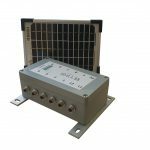 In the last year we developed a new tool for iBWIM which is placed inside the iBWIM cabinet and collects environmental data. These additional tool is also able to watch the cabinet, if the door is opened by a stranger, an alarm can be triggered. 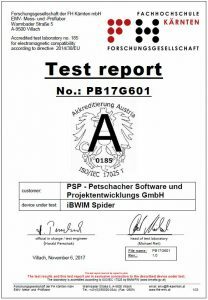 In October 2017 we instructed the research and development company of FH Kärnten mbH to test our Spider electronics relating to EMC (electromagnetic compatibility) standards. We had some problems with our Spider version 2 which we completely eliminated with our new version 4. With the new version we passed each testing criteria. With a good feeling and the confirmation of the proper quality of our products we start to new projects in the near future! 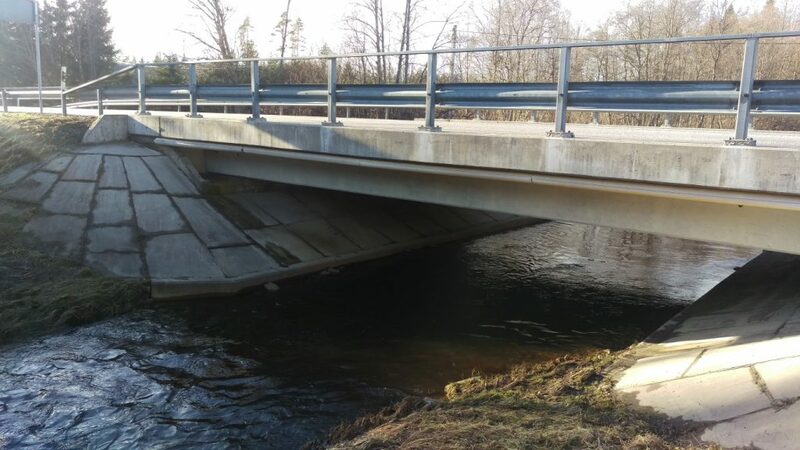 iBWIM system is used for measuremts of about 20 bridges in Estonia since May 2017. Our customer is ViaCon Eesti AS in Meistri, Tallinn. The commitment is planned for 2 years, within the first 4 month ViaCon already was able to measure 7 bridges successful. The measurements are done distributed all over the country.